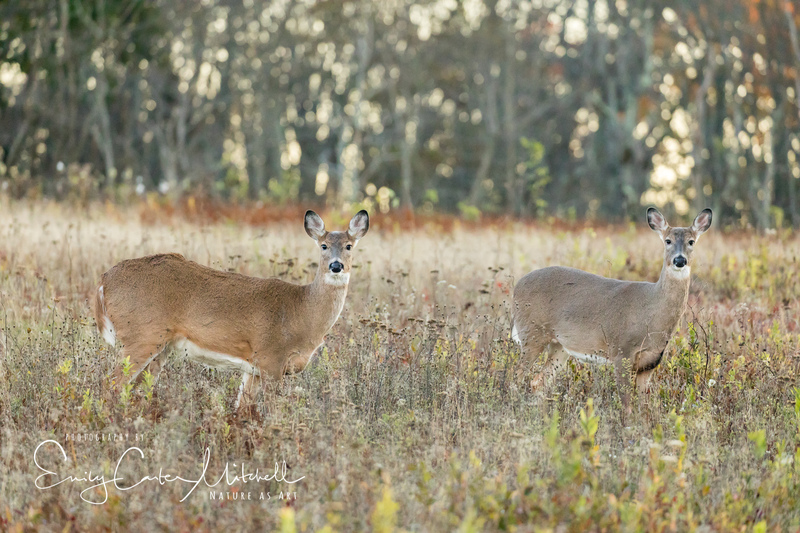 In my recent stay in Shenandoah National Park in Virginia, my friend and I went in search of White-tailed deer several times. Known to spend time at Big Meadows and the roads leading to the lodge we would troll the roads in hopes of finding one. The past two years that I’ve been, the deer have been quite elusive. To my great surprise, we were able to find them each time we went out. Beautiful does along the road grazing on the grass as peaceful as could be. A few small bucks were found. Younger than ones I’ve seen in the past, this one wanted to make sure we got a vogue shot of him. 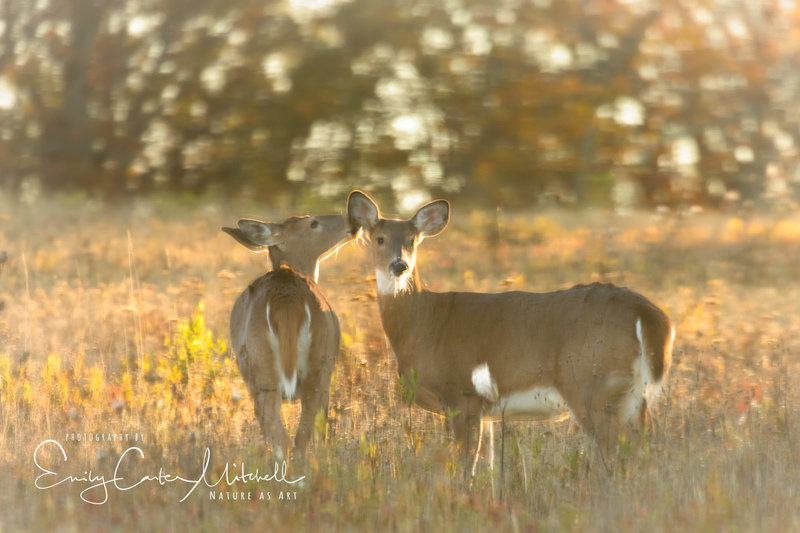 There were a few ideas I had of images I wanted to try to capture with the deer in the meadow around sunset. 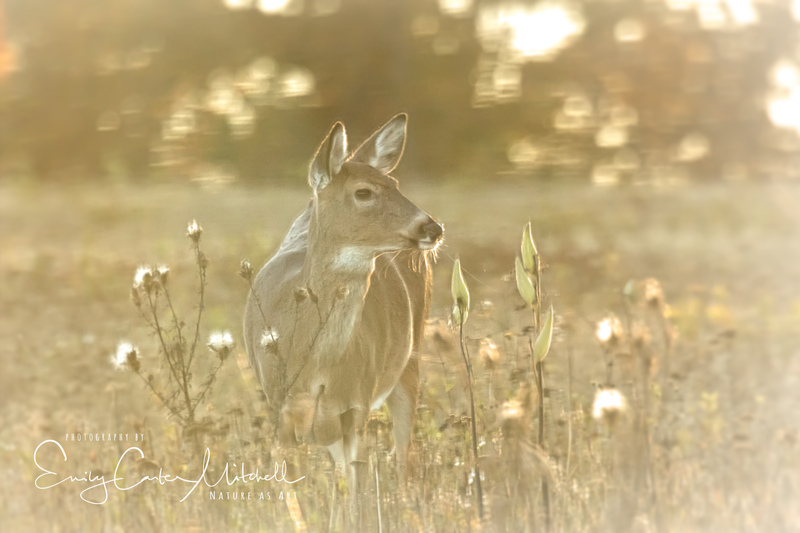 I needed the right lighting conditions, and the deer in the right spot. 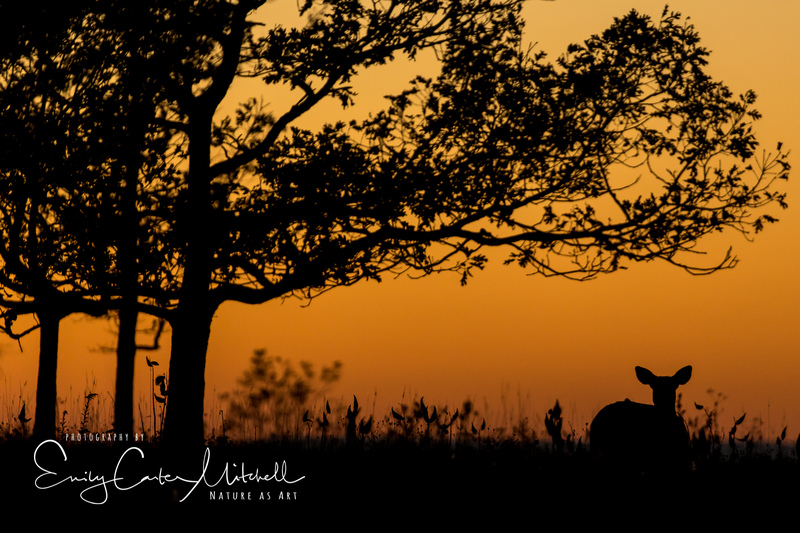 The sunset wasn’t super colorful and the deer was further than I would have liked, but I was able to get close to the idea of what I was looking for. A nice silhouette in the beautiful sunset color. While I was waiting for the sun to get lower in the horizon, I played with the idea of shooting into the sun. Many wedding and portrait photographers are using this technique to create a different feel to the image. 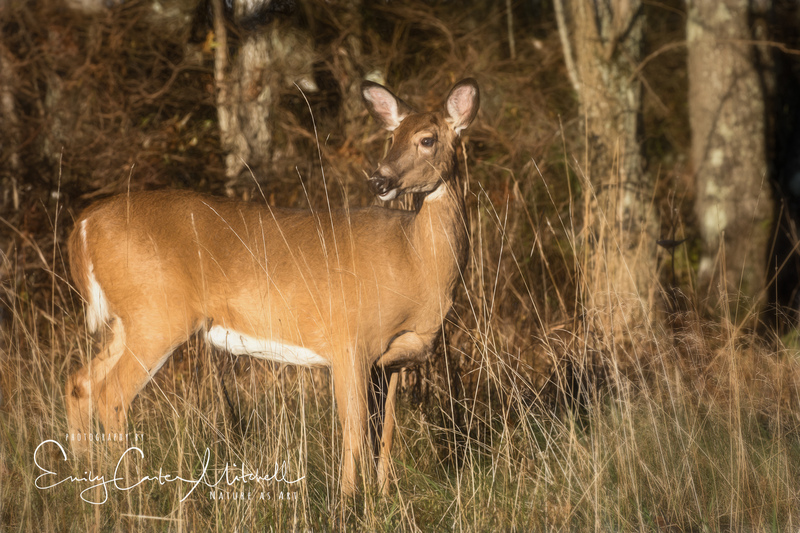 And then something happened that I’ve never seen a doe do before. 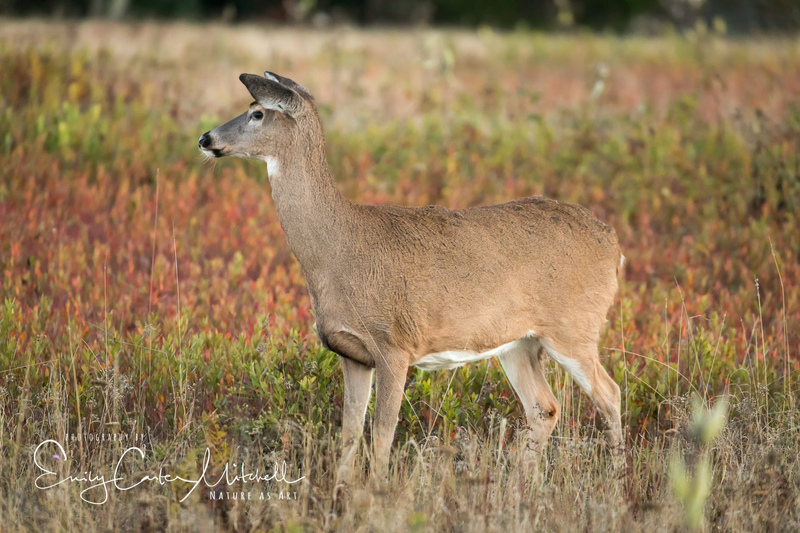 Standing on her hind legs, one larger doe showed her dominance to an interloper. Making sure her size would intimidate her foe. She did it four times in short succession. Just standing there, like a statue. It was the most amazing thing I’ve ever seen. 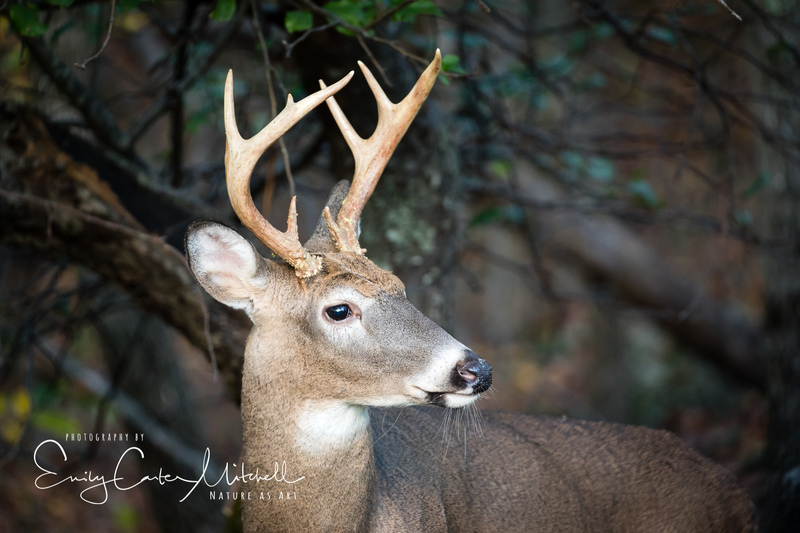 I wish I had a lot more time to play with the deer and try a variety of ways to capture them that are beyond the standard beautiful deer head shot. Perhaps next year I’ll be able to enjoy them once more. What amazing shots. I was going to say I love the silhouette shot best, but those standing up ones are fantastic, too. You have done a splendid job! Thanks for sharing.